This is a reference grammar for teachers and learners of English. The material in the book is presented alphabetically in a dictionary-like format. 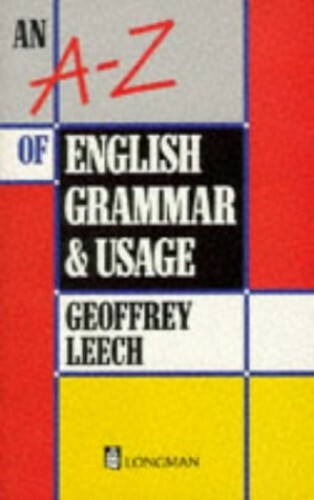 It contains over 600 entries, which are of three kinds: common words which have a grammatical function, such as more, the, what, do, by, can; terms used in talking about grammar, such as indirect object, pronoun, tag question; and language areas not normally included in a grammar, for example, greetings, introductions, punctuations, letter writing. The book is cross-referenced and includes notes on register, intonation and British and US usage.